I havent written in my blog in over two weeks…as I sit here now, in front of my laptop, I feel like I am visiting with an old friend. I have missed writing.. and I am finding it a bit harder to connect with the right words to paint my boring computer screen with this evening. My absence from writing for these past few weeks has driven a wedge into my mind..and I must work a little harder tonight to push it away and to write normally. Let me also just be honest here..being honest is the whole reason why I write anything on here. I am such a work in progress..I am just a sinner with a never-ending hope in my redeemer. My walk with the Lord takes such different strides at times. My journey towards my saviour goes through dry spells, and it is not only my absence from writing that has made me feel disconnected tonight but also my absence from my Lord.. I say this in repentance and also because I have to admit this – not only to God but also to the people who read the things that I write. I can’t just write about how changed my life is all the time and not also share the downfalls and the struggles that I also face. It’s not that I’ve been doing things that I know that I shouldnt do..or like i have been blatantly sinning. Its not something that I have done but what I have not done that has caused me to feel a bit distant. I havent spent time with Him lately..I have not made the time to just tell him how much I love him. I still know He is there..I still love Him..but sometimes I just forget to tell Him that and I allow other things and the burdens of this world to block him out. But Jesus loves me even when I don’t deserve it.. it is always a brief valley that carries me away because Jesus will not ever stop loving me..the glories of God will never lessen and He will never stop showing me how much I mean to him. One of the ways that He has shown me his love is what I will write about tonight. What I will write about tonight is my loveletter to God..these are the words from my soul screaming out that my God is good..that my God is real. A while back my friend Christin invited me to go to a bible study. On the way, we were both laughing about the odds that the two of us would be going to a bible study on a friday night. Both of us once lived very dark lives..but God is definitely in the life changing business. On the way to the bible study, Christin told me that the man who would speak also sometimes prophesied over people. To say that I had doubt and was leery of this man who people called a “prophet” would be an understatement..unfortunatly the age of snazzy tv preachers has gotten to me. My thoughts about all of the falsehoods that sadly have come to be associated with christianity made me have doubt. I am so grateful that my doubt didn’t stop God from speaking to me. God smacked me across the face..That man spoke my life to me that night. He spoke of things that he had no way of knowing..he had never met me..I had never even heard of this man. He didn’t know me but God did. If anyone knows me..they would be able to give testimony to the first paragraph above. How he described my past is unbelievable. He didn’t know that I was a preachers daughter and just how close to the church I was growing up until I told him later..He didnt know my past yet he described it perfectly as only God would know it. Let my previous entries be witness to the things he said..the things that I have written about when I speak of my past walk hand in hand with what he said. Big Changes? Three years ago I lost a baby..two years ago my life was blessed with my husband’s daughter, Trinitee. As I have written before, the loss of my child was a turning point in my rebellion against God and it was the responsibilities of becoming like a mother over night that made me realize that I had to change and got me back in church..it made me realize that how I act around Trinitee will play part in molding her and that I will stand before God one day and be judged on how I influenced her. Please read the entry that I wrote before this one..I wrote it before any of this. I struggle with guilt. Satan uses my past to make me feel unworthy from time to time..and the few weeks up until I was told these things had been particularly bad. But God wanted me to know that.. I am forgiven. He not only forgives us..he forgets the things we’ve done. The things that we allow to keep us from feeling worthy are things that he doesn’t even remember. HE DOESNT SEE US THROUGH OUR SINS. ONCE WE HAVE BEEN RESTORED BY THE BLOOD OF JESUS HE ONLY SEES WHO WE HAVE NOW BECOME. also He told me to tell you …your children…not to worry about them so much…Hes going to touch their lives and they are never going to stray from God …you’ve been worried about the youngest one and the Lord told me to tell you not to worry.. that the healing touch of God shall be in his life and he shall know that he is who he is and who God wants him to be and will fulfill all the days of his life and for you not to worry. I had to include this to show just how REAL God is. All parents worry about the people who their children will one day become..however this thought had been constantly on my mind specifically and with great severity during the weeks that led up to this. My husband and I had discussed this on numerous occasions in close proximity to when this was told to me. And what he said about Rory..wow. How can I even begin? He had no clue that my youngest child was a boy. What is absolutely astonishing is the things he said concerning my son. I will not go into things more than I need to, but.. in my heart, I feel that God led my husband and I down the road that we are traveling as parents for a purpose and it was only after much research and much prayer that we came to making a very important decision regarding our son’s health. The decision we made is one that could possibly have bad consequences, but to us, putting our faith in God and trusting in His will for Rory’s life and in His ability to fearfully and wonderfully create our son is more important than the possible consequences. Be that as it may, at the time that this was spoken to me, I had been forgetting about that faith and I had been very worried about whether or not we were doing what was best for our son. My worry and second guessing had been taking a serious toll on me and God knew it..He felt my pain and struggle..but, that night, God reassured me that He had it under control. How did that man know these things? The man who spoke these things didn’t know about them.. but God did..and God is real..and God using others to speak through is real. I saved the middle paragraph for last. 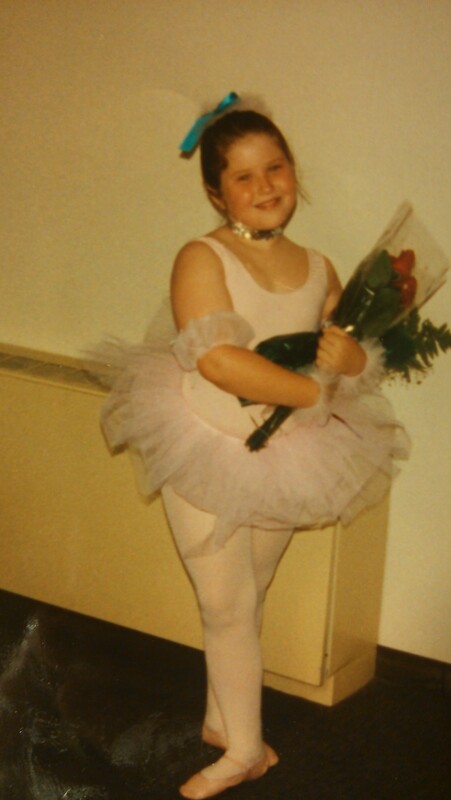 If any of you are a close friend of mine then I have told you the story of how I was in ballet as a child and how I was told that for me to continue would be a waste of money because I was too fat to ever go anywhere in the ballet world. It was true..I could have never been a ballerina because I did not (and Lord knows..I still dont) have the body needed to be a ballerina. No matter how true a statement it was.. I never thought it until someone told me to.. i never stopped loving ballet and seeing myself as a beautiful dancer in a pink tutu until someone told me to stop. it is a statement that has haunted me my whole life.. it is a statement that has played a part in molding who I am. Those words have carved a deep wound into my mind and from them I have found many things to hate about myself over the years. When I heard him say the words that you just read..something seriously was healed within my spirit. The overwhelming emotion that surged through my body was unlike anything that I have ever felt. There is nothing else that someone could say to me that would minister and bring healing to me on so many levels as what that man said to me that night. Even though.. to my ballet teacher I was nothing but another problem who would never be good enough..God saw me and I was precious to Him. What the world saw as flawed and ugly..God danced with. I pray that the Lord will use me to touch others but I am no prophet. I don’t know specific things about people..but all I can say tonight is that God does. He knows everything about you and He loves you. All the things that this hateful world has branded you with He doesn’t see..all He can see when he looks at you, is that you are his child and that he loves you.. like a perfect gentlemen, He will always be waiting for you to accept his proprosal..He will always be waiting to dance with you. I stopped doubting God the day my husband and I found out that we were expecting. We had been trying to conceive for 3 years and my hope to have a child seemed like something that would never happen. Every pregnancy test that I took was more painful than the last when I saw that negative result. The pain and desperation from not being able to have a child caused me to go on a search for something more. In my search I stumbled onto the book, The Power of a Praying Wife. I had always known about God but my relationship with Him had always been very childish. The book showed me how to be the type of wife and mother that God wanted me to be. It taught me how to pray and how to be patient. I knew that I was pregnant the night of my 10 year anniversary. 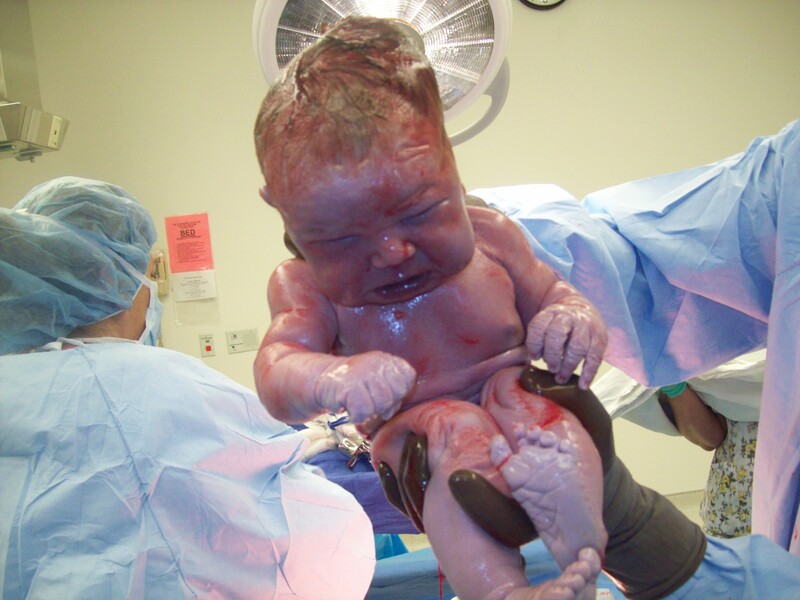 I prayed that night for the first time EVER for God to please give me a child. That night after my husband and I made love the peace that I felt after praying to Him is a moment that I will never forget. Shortly after I found out that I was pregnant. During all the years of heart-break I never prayed. Only after giving it to God did I receive the answer that I hoped for. I believe that the wait was all apart of God’s plan because my daughter has had a lot of health issues and if she would have been born earlier, I do not think that my marriage would have survived the first year of her life. God is real. I have a beautiful daughter as proof. Maybe it is not a child that you hope for but other areas in your life that are barren. In biblical times, a barren woman was thought to be cursed. It was a disgrace and to be barren brought a woman great shame. What is it that has cursed you? What is it from your past that has disgraced you? What is it that you cannot get past on your own? There is a hope for the barren spirit. Just look at Sarah from the bible.. But Sarah shall be her name. After you let God step in He will change you.. He will give you a new name. All the curses and shame from your life before God will be erased, for He will give you a new name.. He will make you a new person. I will bless her, and she shall become nations; kings of peoples shall come from her. Not only will he erase the darkness and shame of who you used to be, he will also cause great things to come from your new life in him. Giving your life to Jesus will change the course of history..it will change the path of your family. Maybe all that you have done on your own has been fruitless and without reward.. but, with God all things will flourish. With Him, all things will be given according to His beautiful plan for your life..for He is the God who gives life to the condemned. He is the God who gives joy to the hopeless. He is the God who gives the barren womb a child. How long will you remain Sarai? How long will you run from becoming Sarah? The new life of becoming Sarah is only a prayer away. The most beautiful thing that has ever been shown to me. Several posts back, I sent out a request for people to share with me the time when they stopped doubting God..the time when God became more than some all-powerful “wizard of oz” floating on a cloud..the time when God grew skin. Even many christians have questions about who God really is. Is he (or, excuse me..she, as some prefer) just some magical spirit in the sky that we will never touch or is there more to find in Him? Who knows?..I am not going to sit here and try to explain God..I would be more successful in growing a tail than trying to put Him into words. That is why I want to hear from as many people as I can..that is why I ask you to please share with me the event that caused you never to doubt Him again. I would love to try to understand what it is that God is trying to tell us through the miracles that he blesses us with. I want to let God explain His love for us..I must have his help because attempting to do this myself is impossible. Without His help, I will never be able to understand who God is.. because, as Anne Graham Lotz says in Just Give me Jesus, He stands in the solitude of himself. He is the God of Gods, The God of the Beginning, The God of Heights..but still, even in his sovereignty He is, Elohay Mikarov – God Who is Near. One way that I have seen God work in my life was 23 years ago. 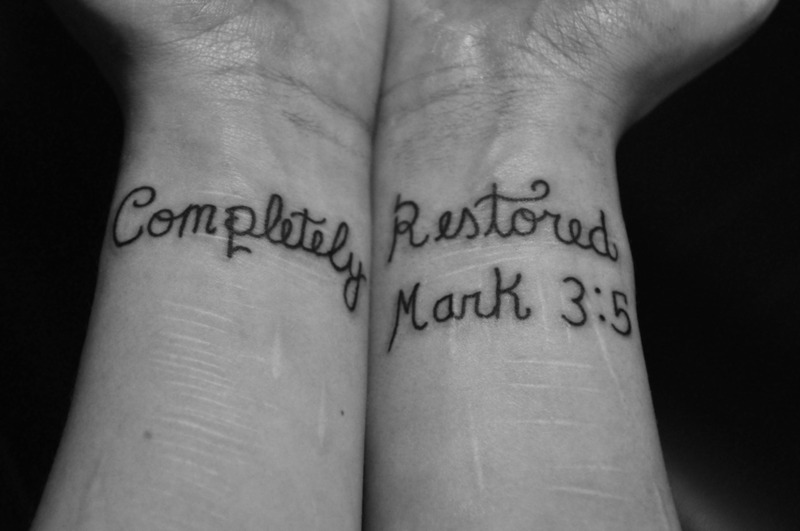 He provided for me in an extraordinary way. I found out that I was pregnant; I had no money for maternity clothes. But I was looking through a JC Penny’s Catalog wishing that I could afford the clothes that I needed. I actually filled out an order form with all the clothes that I would need, just for the fun of it. Two weeks later I received a large box of clothes from my cousin who lives in another state and had no idea of the clothes that I picked out. The clothes were the same as the ones that I had picked out. I didn’t tell anybody of the wish list that I had filled out. There was no way she could have known. It was God showing me that he would provide for me and my family. He has provided and he will continue to provide for us. With all the “official business” that God has before him..he still cares enough to supply the, what some might call expendable, needs of a pregnant woman who is asking for clothes. How could he become anymore “touchable” than this. What do you think that God is telling us through this miracle? Through his acts, I think He may want us to know that He is also – the God who places himself into our situation and views even our smallest request as something worth answering.